The Ipswich Town Football Club (ITFC) vs. Championship leaders West Ham United game ended with a score of 5 - 1, boosting ITFCâ€™s ranking up two places to 19th. 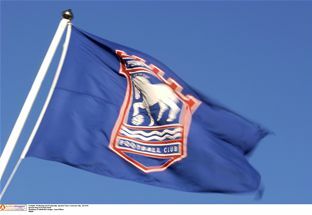 The Portman Road game on 31 January saw ITFCâ€™s Michael Chopra, Daryl Murphy and Lee Martin score one goal each, and Jay Emmanuel-Thomas two. West Hamâ€™s Jack Collison was the only scorer for his team. The match started on a high note, with Chopraâ€™s opening goal in the third minute. Three goals in the final two minutes before half-time brought the score to 3 - 1. ITFC midfielder Emmanuel-Thomasâ€™s 64th and 90th minute goals led to the full-time score of 5 - 1. Ipswich Town faces a tough game against Middlesbrough on 11 February.